Whilst on our walks around Blitar, we came across many people plying their trade. Becak drivers, metal workers, fruit sellers, street food vendors, mechanics, bakers, fryers…the list is endless. 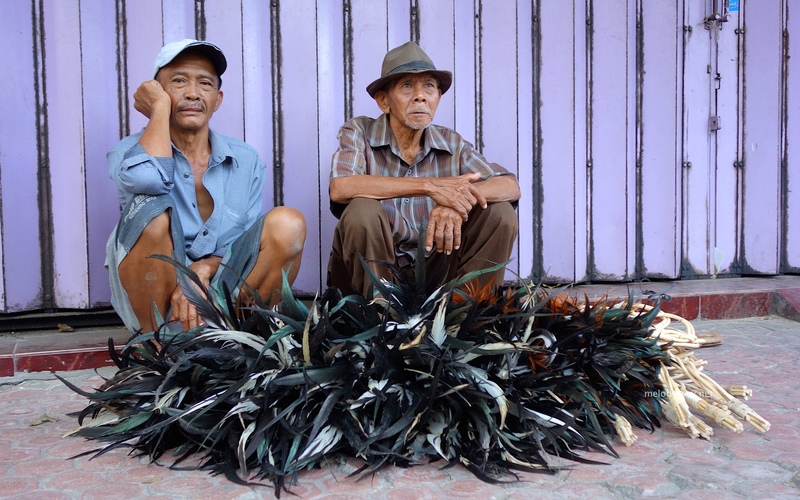 Men selling feather dusters. I wonder if they use the dusters themselves. . .
Each and every one of them were interesting and happy to take the time to show us what they were doing. Fascinating. Click an image to start the gallery. This entry was posted in Blitar, Indonesia, People and tagged Blitar, Indonesia, Java, People by mellymel2014. Bookmark the permalink.